In a very short period Chad rose to the very top of his chosen career as a professional kickboxer. He made his pro debut at 17 years old on the first Main Event and has since fought on Enfusion, Glory and more recently in Super Fights at the K-1 World Max Final 16 in Majorca, the K-1 World Max Final 8 in Gran Canaria and the K-1 World Max Final 4 in Azerbaijan. In March 2013, he was declared Male Fighter of the Year at the ISKA UK Annual Awards, receiving the award from The Dutch Lumberjack, Peter Aerts. In December 2013 he beat previously undefeated and very strong Dutch fighter Ahmed Asitou in an explosive contest. In January 2014 he beat Jorge Falcon of Spain by a first round KO and defeated Nathan Epps in June 2014 on The Main Event in Bolton. 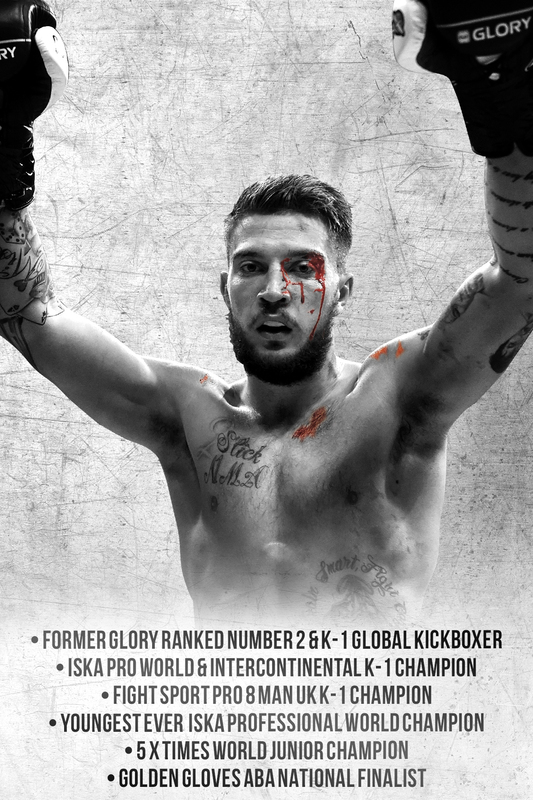 Chad was the first UK fighter signed by K-1 Global on a long term contract. He is the youngest ever holder of the ISKA Professional World Title. In March 2016 Chad made the switch to pro boxing, making his debut at Walsall Town Hall where he defeated Lithuanian Deividas Sajauka in a four three-minute round Super Middleweight contest. As an amateur, Chad’s Junior career was unrivalled with 100 wins and only 5 losses which led him to multiple Junior World Titles in Full Contact Kickboxing. He beat some of the very best, including David Lenson from Brooklyn for the IKF World Title, Oscar Nave from Portugal for the Golden Belt World Title. He defeated Charlie Ward from Ireland, Scot Allen from Scotland, plus the very best from France for the EFK version of the World Title.